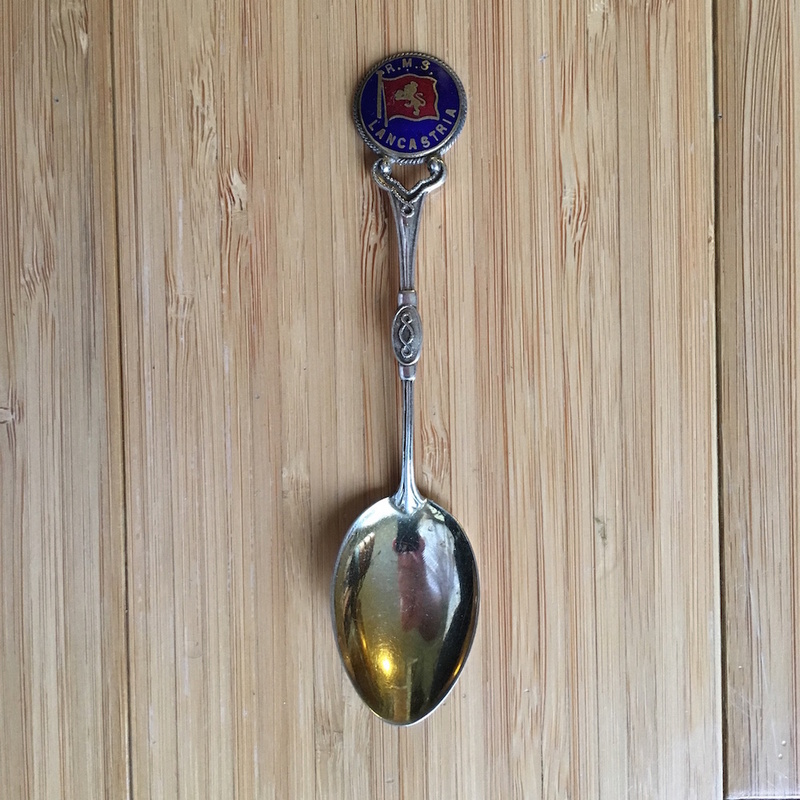 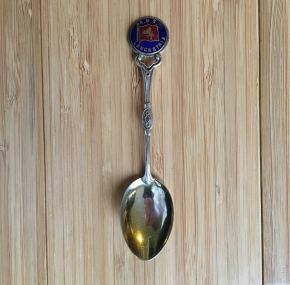 Not often seen spoon as sold in the on board gift shop from Cunard’s ill fated Lancastira. In excellent condition with no problems with the silver or its high quality enamel. 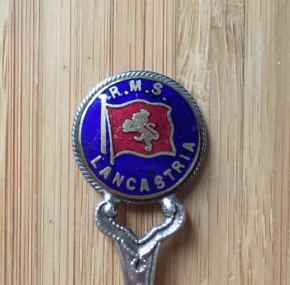 Measures about 4” long.